Brightmark Energy, a San Francisco-based waste and energy development company, recently announced the closing of a $260 million financing package for the construction of the nation's first commercial-scale plastics-to-fuel plant, which will be located in Ashley, Ind. The financing for Brightmark Energy Ashley Indiana includes $185 million in Indiana green bonds, which were underwritten by Goldman Sachs & Co. As part of the financing closure, Brightmark has become the controlling owner of RES Polyflow, the Ohio-based energy technology company that innovated the process for converting plastics directly into transportation fuel and other products. The Ashley facility will be the first of its kind to take mixed-waste, single-use plastics and convert them into usable products at commercial scale. The facility will initially convert approximately 100,000 tons of plastics into more than 18 million gallons a year of ultra-low sulfur diesel and naphtha blend stocks and nearly 6 million gallons a year of commercial-grade wax in a process that is expected to be 93 percent efficient. Ultimately, the outputs of this technology could also be used to produce the feedstocks necessary for manufacturing plastic again, thus creating the world's first truly circular economy technology for plastics. 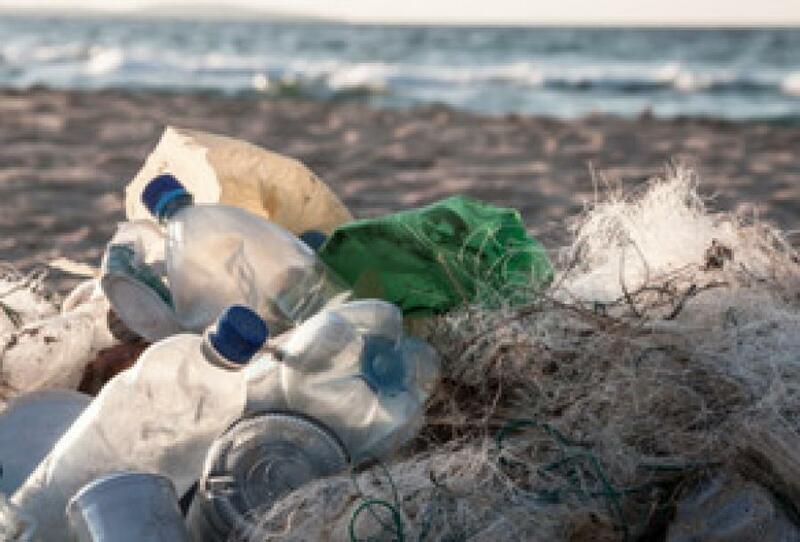 "We are excited about the market's confidence in the validity of this technology to economically convert single-use plastics for new uses," said Bob Powell, chief executive officer of Brightmark Energy and of RES Polyflow. "This technology provides a strong incentive for diverting single-use plastics away from oceans, waterways, communities and landfills by creating reusable value. Plastic pollution is such a pressing global issue, and we are thrilled at the opportunity to provide a solution." RES Polyflow's plastics-to-fuel process sustainably recycles waste that has reached the end of its useful life – including items that cannot readily be recycled, like plastic film, flexible packing, styrofoam and children's toys — directly into useful products, like fuels and wax. According to an analysis released by Closed Loop Partners, there is an existing $120 billion addressable market in the United States and Canada for plastics and petrochemicals that could be met, in part, by recovering waste plastics like those used as feedstock in the Ashley, Ind., facility. The resources recovered from waste plastics could displace fossil fuels being used in these markets today. "I'm excited to be joining a team that has the experience and capability to further the RES Polyflow technology," said Jay Schabel, president of Brightmark Energy's plastics division and of RES Polyflow. "The Ashley facility provides the next step in realizing our vision to end plastic pollution, and we look forward to partnering with Brightmark to develop future plastics-to-fuel projects throughout the United States." A total of 136 full-time manufacturing jobs will be created in northeast Indiana when all phases of the facility are operational. BP will purchase the fuels produced by the facility, which will be distributed in the regional petroleum market. The Ashley plant also will produce commercial grade waxes for sale to the industrial wax market, which will be purchased by AM WAX. A groundbreaking is scheduled for May. Brightmark Energy develops, owns and operates waste and energy projects that employ technology solutions including plastics to renewable resources and renewable natural gas solutions for its customers and partners. Brightmark's mission is to create significant long-term value and a positive global impact by delivering waste and energy solutions. Brightmark's subsidiary, RES Polyflow, designs, manufactures and implements commercial scale energy recovery systems that offer a responsible end of life solution for non-recycled waste plastic. For more information, visit brightmarkenergy.com.